Welcome to Karl Schmidt Mfg Inc. | Karl Schmidt Mfg Inc. Need Durable Long Lasting Equipment? Need durable, long lasting equipment then go with our with Karl Schmidt Mfg Systems. Utilize our top-of-the-line products and technologies that meet/exceed industry standards within OSHA specifications. Purchase Karl Schmidt Mfg. products and maximize purity of each commodity. Welcome to Karl Schmidt Mfg Inc.
Karl Schmidt has been a global leader in consulting, engineering and manufacturing custom recycling systems. As a proven partner focused on creating a better recycling environment, we enable clients in more than 35 countries to operate effectively and stay competitive with the innovation. Our organization provides companies with strategic insights on current trends and ideal technologies to remain ahead of the curve. For 35 years Karl Schmidt Mfg. has provided the recycling industry with top-tier customer service. We pride ourselves in doing what is always right for the customer. One of the most important aspects of having a thriving business is service. Regardless if it’s a single slider bed conveyor, a small engineering services project, or a single stream MRF, the Karl Schmidt Mfg.’ outlook remains the same, "Do What is Right For the Customer" regardless of their purchase! 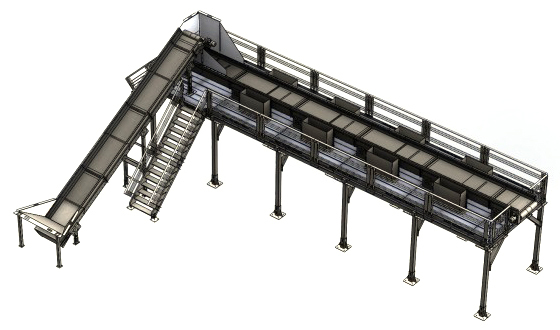 We have been engineering & manufacturing conveyors and related recycling equipment since 1978. We have installed over 2,000 conveyors, a variety of dual stream systems and single stream recycling systems all over the United States as well as internationally around the World.